A 30 year-old male patient was admitted to Lady Reading hospital in Peshawar with 2 months history of high fever, cough and shortness of breath and chest pain. He shared of anxieties of being sick for so long. Imtiaz spoke of ten or more episodes of fever and cough over more than two months, each lasting a week or more. He stated that life has been unimaginably hard. He hailed form an area where high levels of illiteracy prevail; inadequate health care and inexistent access to social services are common among the people of his area. He is the head of household of a family of 7 including five minor kids on a meager salary and inconsistent income. He worked on daily wages, grinding marble and visibly came from a poor socio-economic background. He was diagnosed with pleural empyema which is an accumulation of pus in the pleural cavity which may have been caused as a result of numerous bouts of pneumonia in his case. He was released after an initial procedure to drain the pus but was re-admitted within hours when he became unconscious and had facial and body swelling. He again required a surgical drainage of the infected plural space but did not improve after two weeks. He complained of acute pain and was readmitted a third time within a month due to further complications resulting into a chronic pleural empyema. The treating surgeon decided on a decortication and further investigation on account of a long treatment and poor response to anti-biotics. The cost of the procedure amounted to Rs. 35,279. The patient has been unemployed for more than six months, was already crippled by a heavy loan, had no cashable asset and lived in a rented dilapidated accommodation. He clearly could not afford any cost of treatment. He was devoid of any coping skills and had little control over the situation. Ill health had a deleterious effect on his house hold well being. 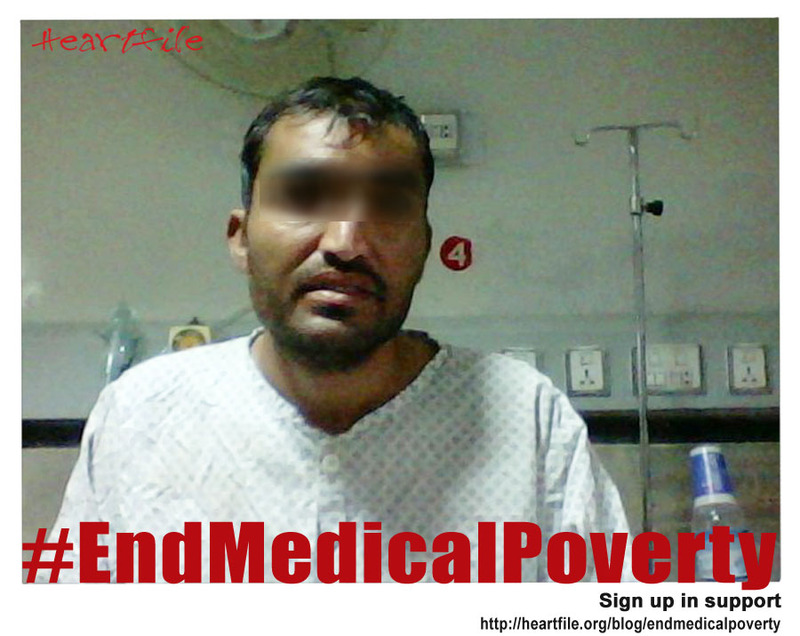 Paying for treatment would have brought more impoverishment to Imtiaz. Heartfile eased the financial burden of the treatment through the philanthropic capital and made health care affordable to a poor patient. I am a overweight 87 year old woman and am planning to follow your diet and supplements. I am, however, seriously allergic to iodine, so presume I would skip this. I would like to keep you informed of my progress, as I think this would keep me motivated. “I think this article contains huge valuable information about mortgage. This article can help by preventing risk.